The Sisters of the Precious Blood hosted men and women religious from the Dayton and northern region of the Cincinnati Archdiocese on Feb. 2 for evening vespers and dinner to celebrate World Day of Prayer for Consecrated Life. Photos by Dave Eck. 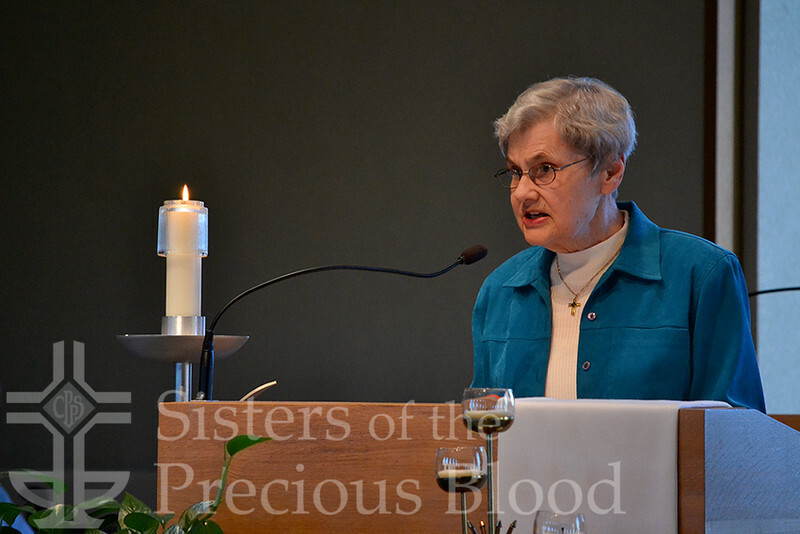 Precious Blood Sister Jeanette Buehler speaks during evening vespers at Salem Heights.